Bartimaeus had faith to step out. Prayers for healing and a just in time God provides the oil for anointing. Ian led the service on 26 October and Amanda brought us the Word. Amanda was led today to offer anointing using the Balm of Gilead. She followed what she was led to do even though it seemed impossible. 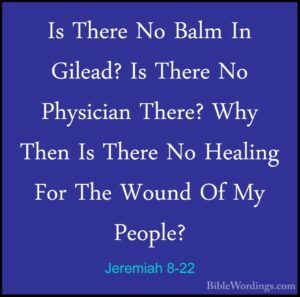 Where do you get Balm from Gilead? Is it even possible? Well it turns out it is possible via the wonders of the internet, but the delivery times meant this would not happen. It would take 21 days to get here which would put it into late November. Amanda ordered it even though it would not get here in time. Terry even walked around shops in various towns to see if he could locate a source. Amanda followed where she was led and the oil, the Balm of Gilead, prayed over before it was sent out from Jerusalem arrived in seven days. Terry had to leave the church as the service started, drive to the sorting office and return with the oil for the end of the service. A Just In Time God setting the foundation for an amazing service. So, they called to the blind man, “Cheer up! On your feet! He’s calling you.” 50 Throwing his cloak aside, he jumped to his feet and came to Jesus. Amanda asked us to try and visualise in our own minds the scene here. We already know from scripture that God’s kingdom is breaking out around Jesus. There were crowds and crowds of people gathering following Jesus as he was moving through Jericho and they were continuing to multiply along the way as they left the city. Only they were following Jesus…Why? Because they had heard of his miraculous healing power…word was getting out there! They didn’t have twitter or face book – they relied on word of mouth. And boy did the word on the street spread quicker than wild fire. We know this from Matthew’s account of Jesus healing two blind and mute people. Matthews (ch9,27-34) account was slightly different to Mark’s. Matthew account was that Jesus had gone indoors and asked if they believed he could heal them it was then he touched their eyes and they gained their sight. Also, in Matthew’s account Jesus gives these men a stern warning not to tell anyone. However, they spread the word anyway. Can you begin to imagine the noise the crowds would create? It would have been very loud. Amanda asked us to wonder howwonder how Bartimaeus really felt? Confused, frightened maybe until he learned that it was Jesus coming along the way. Let’s not forget that Bartimaeus’ has already lost 1 of his senses so all the commotion would have been a bit of a sensory over load for his ears. I can remember crying out I’m going to have to learn to learn to walk again…you may think well that won’t affect your walking because you can already walk right? Wrong once a sense instantly goes your body goes into shock and overdrive. Why was he sat there by the road? Was he sat waiting for Jesus because he had heard he was coming his way and he’d already heard of his miraculous healing power. How people were healed with just one touch of his garments. The crowd was beginning to get louder Bartimaeus started to call out son of David. No answer again son of David…. the people were telling him to shush be quiet. They were trying to push him back into the margins he had no rights! But the more they told him to be quiet the more he shouted the louder. Son of David Have Mercy on me. How many times have you heard /you said shush to someone, what was the reason, how do you think it made them feel? how many times have you walked passed a beggar at the bottom of the ramp in Hartlepool town centre? Now Jesus was the son of God he had supernatural powers of course he would have heard him in the crowd, just like he felt the lady who was haemorrhaging touch the thread of his garment as she crawled along the filthy floor. Why did Jesus make Bartimaeus call out and why did he ask him again? To display the certainty of what Bartimaeus wanted. Jesus called Bartimaeus. He told the other to get him when they approached him Bartimaeus flung off his cloak (right here we see from scripture that he didn’t just take it off he threw his cloak aside and … he ran to Jesus. Now I know it’s hard enough to try to stand without sight. But for Bartimaeus it was more. He wanted his sight he wanted to see the face of Jesus. He was ready to give up his security blanket in order to follow Jesus. Once the cloak was off the cloak he was declaring himself fit for work, he would now have to provide for himself. Notice Jesus didn’t order him not to tell anyone instead he said your faith as made you well. This was one of the last recorded miracles of Jesus as he was heading to Jerusalem to fulfil the Father’s will. Ian joined Amanda in inviting people to come and receive prayer and anointing for healing. Amanda knew people might be reluctant to go forward so she shared her own testimony of healing. She was at a lady’s conference and knew the moment she walked in that she would be healed the lord had showed her through scriptures. At the end the lady had asked for those who need healing to go for prayer and anointing. Amanda was saying “I’m not getting up lord I’m not getting up you can heal me right here.” But she did get up because she was elevated out of her seat (She later found out that the group of ladies she’d gone with were praying for her to get up.) She was healed she felt the physical healing touch of the Lord. Now if she hadn’t of got up she wouldn’t have received that blessing. Just like Jesus asked Bartimaeus he’s asking you what do you want? Amanda and Ian stressed that people didn’t need to tell them what needed healing or prayer if they did not want , your father in heaven knows but come for prayer and anointing. They were simply vessels of the father following his instruction this invitation comes from him. 17 Elijah was a human being, even as we are. He prayed earnestly that it would not rain, and it did not rain on the land for three and a half years.18 Again he prayed, and the heavens gave rain, and the earth produced its crops., she9 My brothers and sisters, if one of you should wander from the truth and someone should bring that person back, 20 remember this: Whoever turns a sinner from the error of their way will save them from death and cover over a multitude of sins. As the song Waiting here for you plays Amanda asked us to listen and pray it from your heart and come to receive your blessing. If you can’t come to the front, then put your hand up and we’ll come to you. 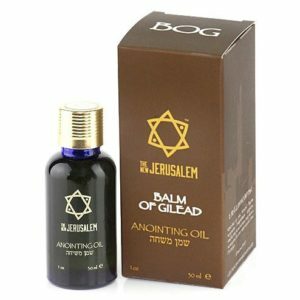 This oil should not be here by human standards it takes 14-21 days from it being dispatched this took 9 all the way from Jerusalem. We played the song Waiting Her for You over and over whilst people came down for prayer and anointing. The service ran over by half an hour as people were moved to come forward.